The maximum deductible individual retirement arrangement (IRA) contribution for 2019 will increase $500 to $6,000. The ability of taxpayers who are covered by workplace retirement plans to make a deductible IRA contribution is phased out for singles and heads of household who have adjusted gross incomes (AGIs) between $64,000 and $74,000, a slight increase from last year. For taxpayers making contributions to Roth IRAs, the phaseout range for determining the maximum contribution is $193,000 to $203,000 for married couples filing jointly and $122,000 to $137,000 for singles and heads of household. These limits were all increased from 2018. For married couples filing jointly, where the spouse who makes the IRA contribution is covered by a workplace retirement plan, the income phaseout range is $103,000 to $123,000 for 2019. These amounts also increased slightly from 2018. 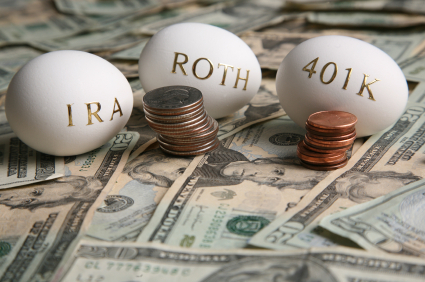 When an IRA contributor is not covered by a workplace retirement plan but is married to someone who is, the deduction is phased out if the couple’s income is between $193,000 and $203,000, also an increase from 2018. The AGI limit for the saver’s credit is $64,000 for married couples filing jointly, $48,000 for heads of household, and $32,000 for single taxpayers and for married individuals filing separately, all increases from 2018. Source (Journal Of Accountancy) Sally P. Schreiber, J.D. This entry was posted in Blog on November 5, 2018 by c04432601.